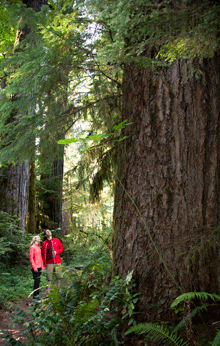 Improve your quality of life by relocating to the Eugene, Cascades & Coast region in beautiful Oregon, where a diverse array of activities and adventures are easily accessible! 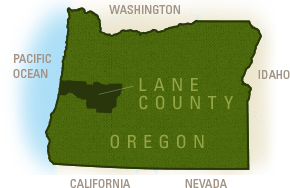 Located at the center of western Oregon, our region, also known as Lane County, stretches from the Oregon Coast through the southern section of the Willamette Valley to the Cascade Mountains. One could feasibly spend the morning hiking or skiing in the mountains, have lunch and do a little shopping in Eugene, and then drive to the coast for sunset and a stroll on the beach! But why rush? When you live here, you can do all of that at your own pace. The diverse geography and climate provides an ideal niche for every enthusiast. 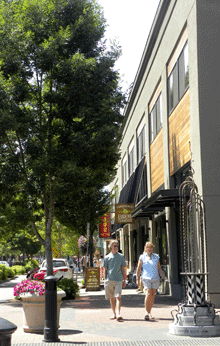 Learn more about the individual Eugene - Springfield neighborhoods. 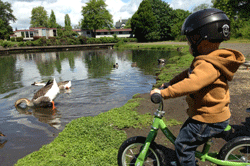 Eugene is known for its running and bike trails and birders, hikers and swimmers love it here too. Surfers, ocean fishermen and boaters are drawn to the rugged coastline, while skiers, fly-fishers, whitewater rafters and kayakers embrace the mountains. Ranked at #8 in Livability&apos;s Best Places to Live (2016), Eugene gets extra points for its great downtown. Performing arts, galleries and museums, academic forums and a vibrant dining and wine scene round out the attractions of this unique county. Retire in the All-America town of Cottage Grove, raise a family in Springfield, open a business in Junction City, further your education in Eugene, embrace country living in Veneta or discover peaceful solitude along the McKenzie River. The region&apos;s technology and innovation sectors have been garnering attention, the craft beer scene is burgeoning and, of course, green businesses and sports continue as a source of community pride. According to United Van Lines&apos; annual National Movers Study, Oregon was the "Top Moving Destination" in 2015. And when you are here, it is easy to see why. If your dream lifestyle calls for a beach-front cottage, an urban condo or a mountain retreat, contact a local real estate professional for up-to-date real estate and rental listings. If you are moving to the Eugene, Cascades & Coast region, we welcome you home! Looking to relocate your business? Be sure to visit the chamber of commerce offices throughout the area. Fly into a hobbyist airport and enjoy an afternoon of golf. Walk or bicycle the Row River Trail and tour six covered bridges. Visit the home of TrackTown USA and the University of Oregon. Shop for antiques and tour historic homes. Explore the historic district and the Dorris Ranch Living History Farm. Get out on the water at one of three magnificent lakes. Charge world class mountain biking trails, hunt for mushrooms or ski the slopes. Raft the crystal clear river, fish for steelhead or soak in the hot springs. Go birding and boating at Fern Ridge Reservoir and visit local wineries. Drive picturesque country roads, outfit your RV and play golf. Your portal to Oregon's massive sand dunes. A historic riverfront town bustling with restaurants and shops.